I think that this is going to be the hardest review that I have ever written, I need to do this book justice and I just hope that I can articulate just how amazing this book really is. I am a huge Amy Harmon fan and have been since the beginning, there is something about her books that resonates deep within my heart and soul. If I pick up an Amy Harmon book I am guaranteed to be touched in some form or another. Her books reach places that few authors have ever managed to uncover so I went into this one with high expectations and I have to say Amy Harmon did not disappoint. This next statement is HUGE! The Law of Moses was better than Making Faces and I thought that was impossible. This book is by far Amy Harmon’s best book; it is definitely one of my top reads of all time and one that I will pimping out to everyone and anyone to read. I felt a better person after I had read this book, the underlying messages making you think about how you live your life, if there are things that maybe you could do better. This book just makes you want to be a better person, to never judge a book by its cover, whether that “book” is a book or maybe a person. What people perceive to be correct about outward appearances is nigh on always incorrect, take the time to see the inside, read the words, see the person and then you are in the position to make an informed decision. Be that better person. As usual with an Amy Harmon this book is written exquisitely, it is evocative, hauntingly beautiful and extremely powerful. This was more than a reading experience, this is a book that you will live and breathe, and the emotional push and pull will have you heart heaving, your emotions rushing and your tears falling. So touching was the prose throughout this book I found myself crying for no apparent reason other than just how moved I was and that is a very rare occurrence. I will not go into the plot at all as this is a book that you need to experience blind, experience the meticulous attention to detail first hand, run the gamut of emotions, ebb and flow with the tide that Amy Harmon creates through words, be present with Georgia and Moses, live their life with them and I will see you on the other side. Georgia is a seventeen year old girl when we first meet her, she is a horse whisperer, she is extremely talented and works for her mother and father on their ranch. Her dad is a vet but as parents they run equine therapy sessions for children and adults with issues and Georgia is proving to be an invaluable member of the team. Georgia is no normal teenager though, she loves barrel racing and aspires to being a professional when she becomes of age. Georgia was an inspiring character, beautiful both on the inside and out. She always saw the best in people and even if she couldn’t see it in the first instance she would keep peeling away the layers until she could. It is this tenacity that allowed her to be one of the few people that Moses let in. Her friendship with Moses evolved extremely slowly and this slow build lead to me connecting with the characters on an all-consuming level. Georgia needed to be on her A-game to get through to Moses, but she didn’t see the delinquent that everyone else saw, she saw a boy crying out for acceptance, crying out for understanding, crying out for love, crying out for friendship and she gave it to him in spades. Moses was an extremely complex character, he had not had the best start in life being a “crack baby” and being abandoned in a basket in a Laundromat, hence the name Moses. His beginnings were the talk of the town for years and never forgotten so when he finally returned to live with the one person who had always believed in him, his grandmother, the Chinese whispers began in earnest once again. 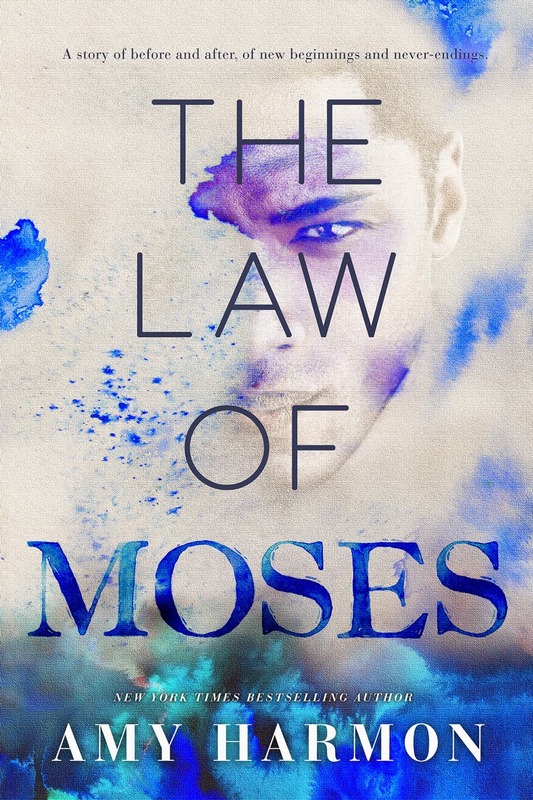 Moses was seen as a delinquent, a trouble maker, he was hostile, he was temperamental, he could be aggressive, he was moody but deep down he was a troubled teenager trying to find his place in the world. He had many issues that we find out about slowly and this had an enormous effect on his outward personality. Deep down though, he was just misunderstood and because of the legacy that preceded him, nobody had the inclination or the time to get to know him, only Georgia. Moses was an extremely talented artist but he could only paint with inspiration, it seemed coming back to where his life began was all the inspiration he needed and herein begins his story. As I have tried to convey above, this is one story that I will never forget. So profound are the words you will find yourself thinking about its messages non-stop. Already I have found myself looking for my “five greats” when I am feeling down and if we all had Georgia’s attitude then I am sure that the world would be a far better place. This is a book about giving people a chance, grasping your life with both hands and making the most of it, seize the day, try to always be a better person, give people the benefit of the doubt, never give up, just be that better the person. Amy Harmon, all I can say is this book is truly fantastic. Definitely one of my top reads ever and one book that has already left a piece of itself deeply embedded in my heart and soul. This is a book that I will read again and again and could never tire of. Anyone still on the fence about this one, please, please take a chance, this is one of those books that demands to be read and you will for sure feel all the better for it. Totally and utterly amazing! What a great review! Thank you for participating in The Tour of Gratitude and for supporting The release of The Law of Moses.